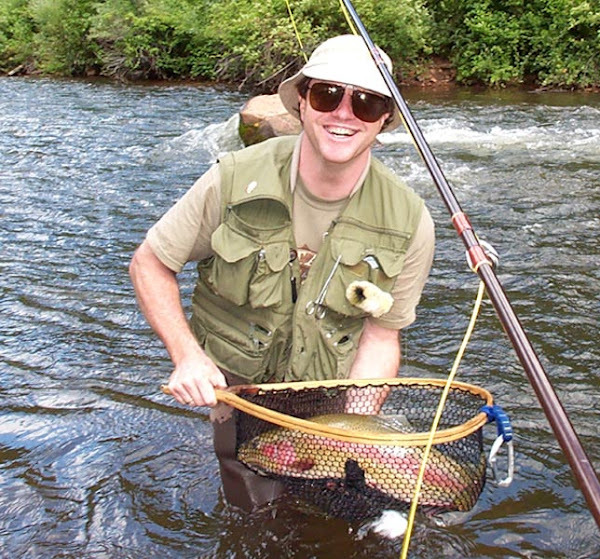 Former student Ron Catlett -- FIRST DRY FLY FISH -and a great fight. "Matching the Hatch" has never looked so easy. 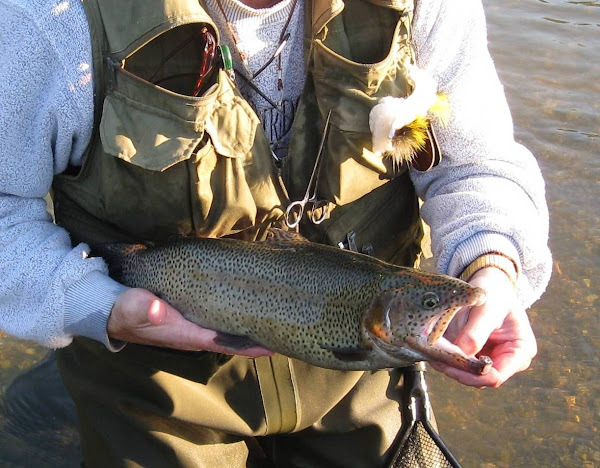 Ron used a size 16 Caddis Dry Fly and it was not long before a hook up. 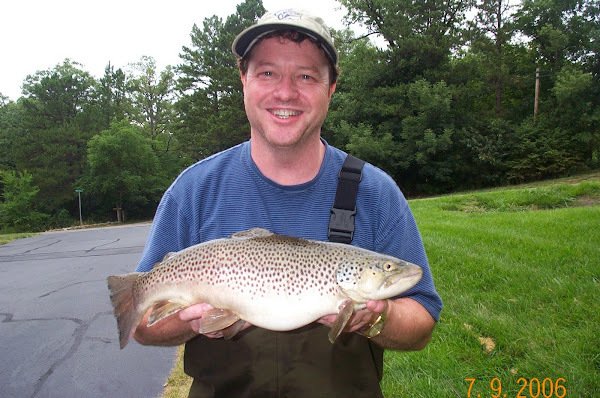 After a nice fight at 11 O'clock with the rod and coming downstream to net the fish, Ron has a memory of a lifetime. What a great July 4th weekend. 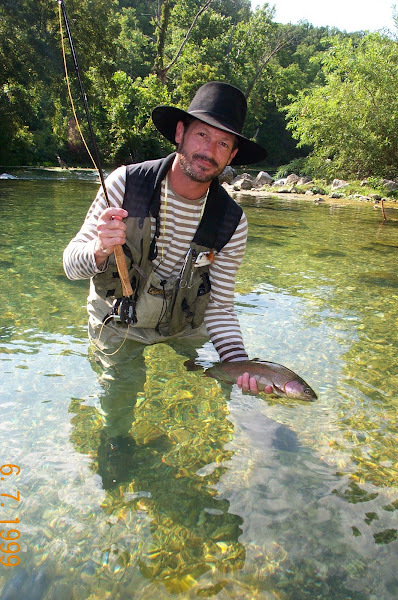 Fly Fish Tennessee - Get Out There !! !